Secrets Maroma Beach is located on the Secluded Maroma Beach! This undeveloped beach is immaculate withwhite sugar sand and crystal clear waters. Maroma Beach was voted one of the top 10 beaches in the world by Travel Magazine. What is so unique about Secrets Maroma? Every room has Jacuzzi for 2 (great for honeymoons. This is an adults only resort and is not the best suited for family vacations. 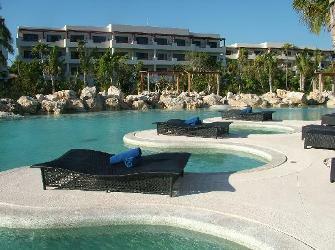 What kind of pools does Secrets Maroma Beach have? There is pool and beach wait service to wait on you! Not many all inclusive resorts have several outdoor jacuzzis to relax your muscles, but this luxury hotel does. The Cozumel ferry is just right around the corner if you want to plan a trip to this gorgeous island. 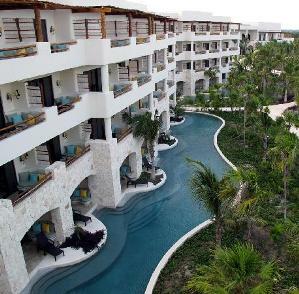 Secrets Maroma beach offers 7 gourmet restaurants and 8 bars. Interested to know if you should tip or not? If you need to exchange money you are also able to at the front desk. There are two sections of rooms at the Secrets Maroma. 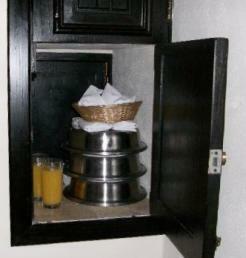 Located in all rooms are a secret box for room service to be delivered. Do you need help making a packing llist? This picture is taken of the swim out rooms. They are on the first floor. On the coast of the Yucatan Peninsula (beautiful weather. Here are more beach photos of the beautiful Maroma Beach.